A child of Hungarian immigrants, Catherine Aubrecht grew up learning English as a second language. As the years rolled by, she began to face a sense of helplessness in the midst of her highly dysfunctional family and began looking for love in all the wrong places. Come hear her story about losing loved ones, her babies that she’s never met, and God’s gracious, re-creating love that has beautifully redeemed her through all this. 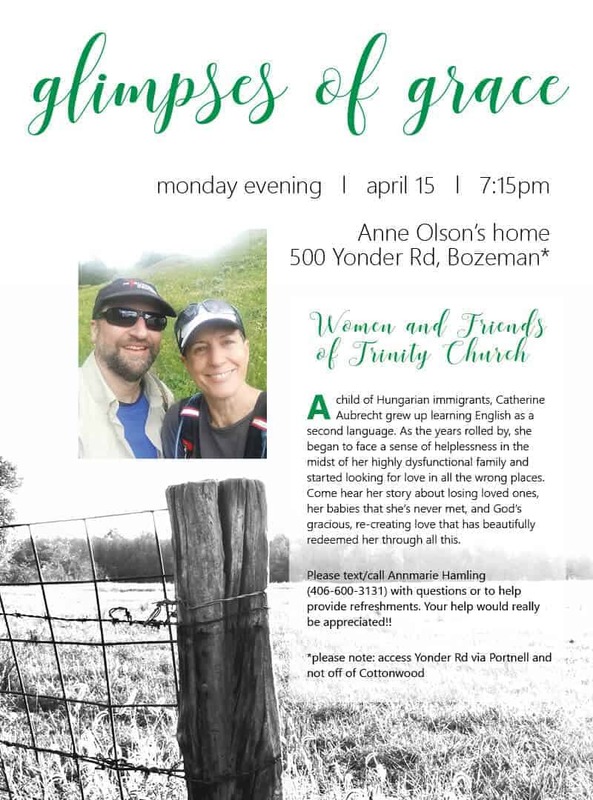 Please text/call Annmarie Hamling (406-600-3131) with questions or to help provide refreshments. Your help would really be appreciated! !